Bright Country (Guangzhou) Glasses Co., Ltd.
Yiwu MingXuan Glasses Co., Ltd.
Wenzhou Kayerlong Trading Co., Ltd. Upon receipt of an order, we process the order as specified and ship the order out within 48 hours. You just need to send us your design, or you could tell us your ideas, our designer could help you to design it. Q 6 : How long can I wear them9 If you are new, do not wear more than two hours at a time, if you are proficient, you can wear them 7-8 hours a day. Gansu Kangshida Technologies Group Co., Ltd.
Guangzhou Vanho Technology Co., Ltd.
Jieyang Sincere Trade Co., Ltd.
Guangzhou Icon Trading Co., Ltd.
Henan Beiheng Import & Export Trading Co., Ltd.
Henan FANXITONG Electronic Commerce Co., Ltd.
3. Does it keep out of sight9 Professional technology ,reserved optical region,guaranteed freedom of vision. , Ltd i s established in 2009. Our company belongs t o the III-type medical device production enterprise. 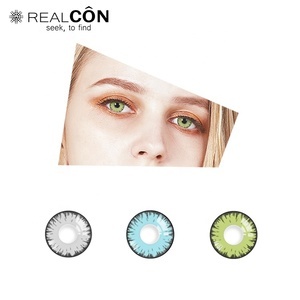 We are the domestic manufacturer possessed with the advanced production capability of the colored contact lenses. Guangzhou Yohush Import & Export Co., Ltd.
JAPAN COLOR CONTACT LENS ASSOCIATION. Foshan Tuo Pu Xiu Trade Co., Ltd.
NOTES: 1. All colors are ready in stock, we promise to send package out within 48 hours after receiving payment. Upon receipt of an order, we process the order as specified and ship the order out within 48 hours. You just need to send us your design, or you could tell us your ideas, our designer could help you to design it. 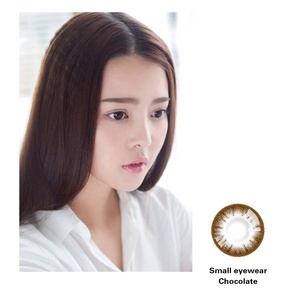 Alibaba.com offers 1,395 contact lens big eyes products. About 92% of these are contact lenses, 1% are toy accessories, and 1% are eyeglasses frames. A wide variety of contact lens big eyes options are available to you, such as three tone, grey, and blue. You can also choose from monthly, daily. As well as from free samples, paid samples. 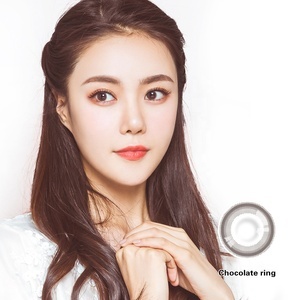 There are 1,396 contact lens big eyes suppliers, mainly located in Asia. The top supplying countries are China (Mainland), South Korea, and Taiwan, which supply 96%, 3%, and 1% of contact lens big eyes respectively. Contact lens big eyes products are most popular in Western Europe, Southern Europe, and Northern Europe. You can ensure product safety by selecting from certified suppliers, including 901 with Other, 87 with ISO13485, and 22 with GMP certification.